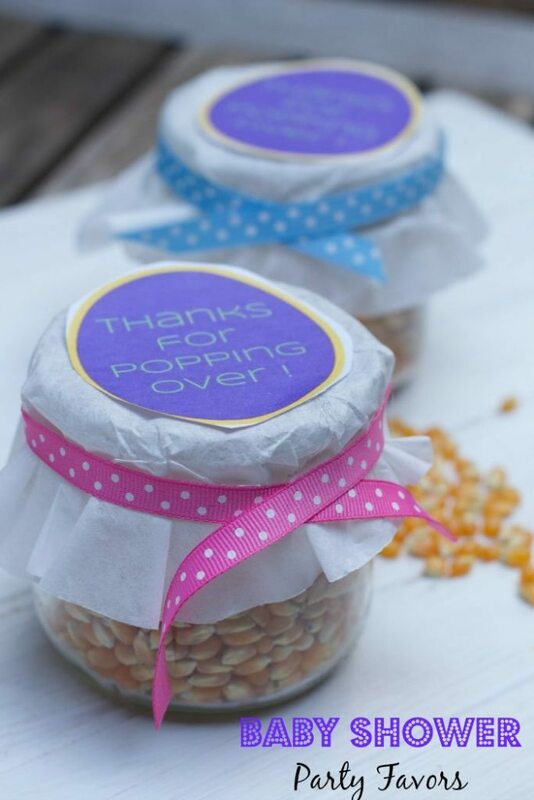 I love the ideas behind these baby shower party favors! It has been a while since I have been to a baby shower, and the concept of a Baby Sprinkle is brand new to me. What is a Baby Sprinkle? It is a baby shower for a 2nd, 3rd or 4th-time mommy to be. I get it, celebrating babies is so special and moms to be should be celebrated no matter how many times they have been pregnant. Tasked with coming up with a baby sprinkle baby shower party favor brought back baby shower ideas from when my friends and I were having kids. I am totally into this Baby Sprinkle Baby Shower idea! Especially if you are a family with an unexpected child, years after your other children were born. From what I understand, these events are more low key and really an excuse to give the mom to be some attention and have some time away from the kids. It’s a dialed-back version of a regular baby shower – typically with fewer attendees, fewer games, and more practical gifts. Thanks to the introduction of Pinterest, baby shower ideas are not low key or inexpensive. Since budgets can be tight and baby shower party favors are a must for any party I would be throwing, we are making these inexpensive Baby Sprinkle Party Favors. Since it is an additional pregnancy being celebrated, finances are often tight. Not jus for the mother to be, but also for the host. Choosing fun but frugal baby shower party favors was important to me. These inexpensive baby shower party favors are made out of chocolate, popcorn, cellophane bags, ribbon, and sprinkles. Sprinkles are the most important part so find some fun ones if your budget allows. We used pastel sprinkles and I found these bright blue and pink sugar candy beads at our grocery store. Start by making one of my favorite party snacks, chocolate covered popcorn. If you are revealing a gender, go ahead and buy blue or pink chocolate to drizzle on the popcorn. Or buy blue and pink sprinkles to cover the white chocolate. The options are endless and the effort is minimal. Check out a previous post to find the recipe for chocolate covered popcorn . We’ve made these super cute baby shower party favors bag tags for you to use! 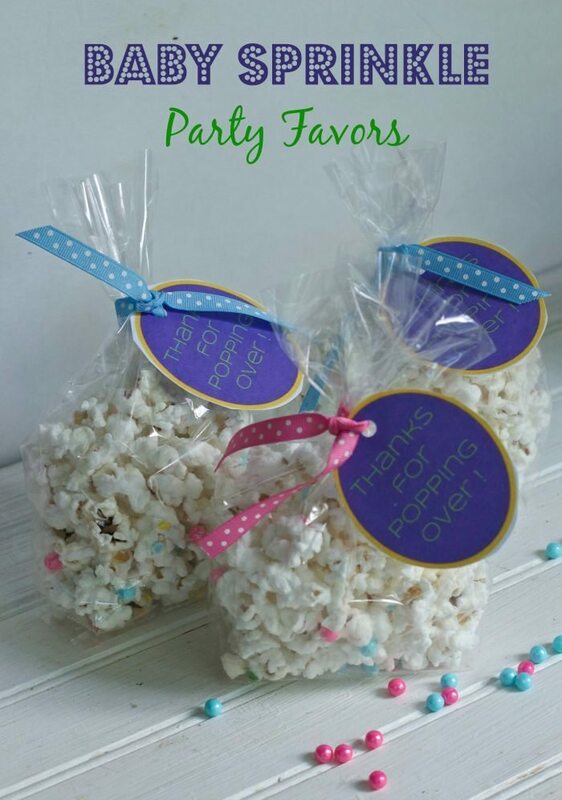 They are gender neutral so you can use for any party, and of course they are perfect for this popcorn treat! You can print these onto card stock so they are heavier for using as tags, or print on plain copy paper then glue or tape them to a simple paper plate that you will later cut out and hole punch to add to your bag of popcorn. 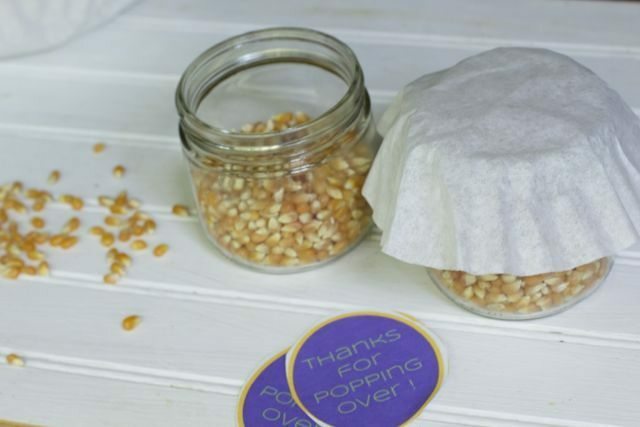 While the chocolate popcorn is cooling, print and cut out the party favors tags. 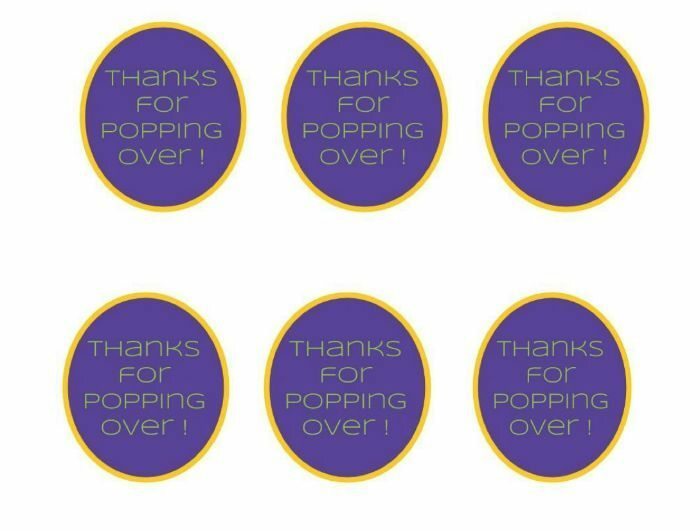 Print out this adorable “Thanks For Popping Over” free printable, cut them out and attach to the front of the paper plate or print to card stock like mentioned above. You want to make sure they are sturdy enough to hold up to being tied with ribbon to your bag. Package up your popcorn in small cellophane bags, and then you can seal them with blue and pink ribbons and place a fun tag to the bag. 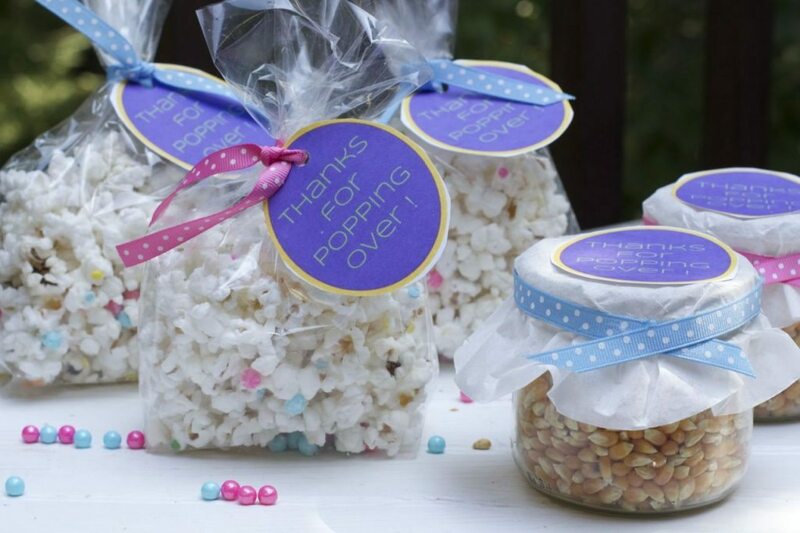 This is a great party favor idea for not only a baby sprinkle party, but also a baby reveal party! Stack them in a cute basket near the door so the guests can grab one on their way out. 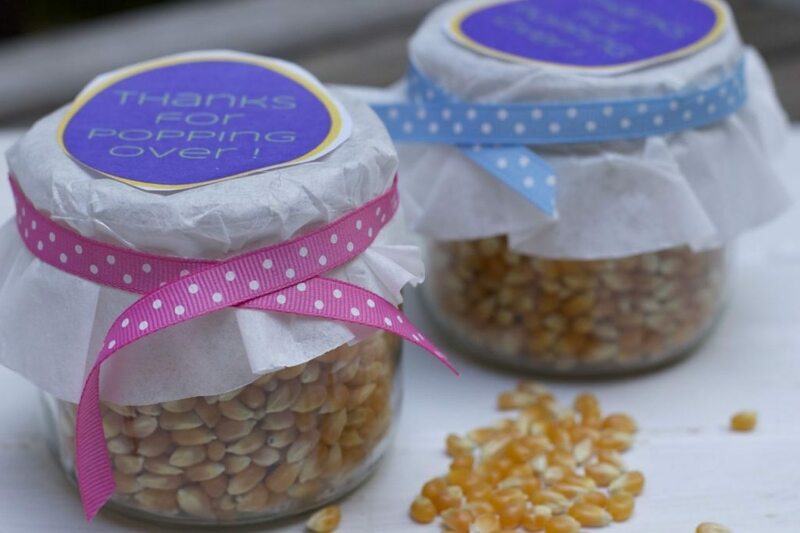 If you are pressed for time, or don’t want to worry about making the popcorn snack, you can simple create jars of popcorn kernals and add a cute lid, ribbon, and the tag as a gift instead! You could even print out the chocolate covered popcorn recipe above and add to the package! We attached a coffee filter on top of our jars to give it a little more festive look. Just glue the ribbon around the outside to achieve this look . Need gift ideas for a Baby Sprinkle. Here are 6 things moms with multiple kids still need. Such a cute idea and printable. I might need to do something like this for my daughters party in October. What a cute party favor idea! What a fun and creative gift. I love how you added the blue and pink sprinkles to it! I hope you can use them for another party!! thanks Dawn. Saw something on pinterest! These favors are super cute and I’m sure they taste yummy too! I didn’t have a shower or sprinkle with my last but I wish I did. Something like this would have been fun to share with friends and family. This is an adorable idea! I love the idea of a baby sprinkle, especially when the baby is a different gender from previous children. Very cute! These party favors are super cute! I love the pun on the tag! Great ideas and such cute labels? I saved it to use when I have to host one or help out! Super cute! those would also be perfect in a lot bag for birthday parties. I haven’t been to a baby shower since my own 4 years ago. This is such a cute and easy idea! I have a friend who’s having a baby soon and I’m going to have to try this for her shower! Ok that is a wonderful idea. I really like this one.